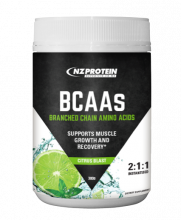 NZ Protein's Branched Chain Amino Acids (BCAAs) is a 2:1:1 blend of the amino acids L-Leucine, L-Isoleucine, and L-Valine respectively. Amino acids are the building blocks of proteins and these three branched chain amino acids make up about 1/3 of amino acids present in our body. The body cannot produce them so they must be obtained from dietary consumption. While other amino acids are metabolised in the liver, branched chain amino acids are metabolised in muscle. BCAAs can be depleted from muscle under intense training or dieting, and a deficiency in any one of them may cause muscle loss (catabolism). Exercise can increase BCAA requirements. 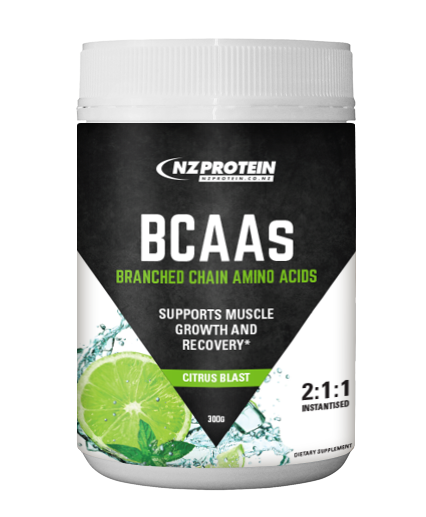 Because branched chain amino acids are metabolised in skeletal muscle they may provide fuel (energy) for muscle during exercise. BCAA supplementation may also fight fatigue during exercise too - BCAAs compete with tryptophan in the brain. Tryptophan is converted to serotonin in the brain, a chemical that can increase fatigue. During exercise BCAA levels reduce, which allows more tryptophan to enter into the brain. This study from the Journal of Sports Medicine and Physical Fitness in 2011 found that BCAA supplementation provided energy and reduced fatigue by 17% compared to a placebo group. 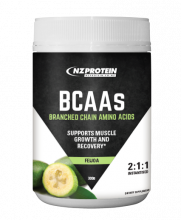 Therefore, supplementation with BCAAs during prolonged exercise may help to provide more energy for muscle and fight fatigue. Muscle proteins are constantly broken down and re-synthesised. The amount of protein in muscle is the net balance between the rate of breakdown vs re-synthesis. This is called the Net Muscle Protein Balance (NBAL). Muscle mass = protein synthesis - protein breakdown. Wasting of muscle occurs when muscle protein breakdown is higher than the re-synthesis. This is especially the case when dieting as decreased energy intake can cause the body to use muscle to provide energy (catabolic). Supplementing with branched chain acids during these times may help to slow or even prevent muscle waste by increasing protein synthesis and reducing breakdown. Some studies have found that BCAAs taken just prior, during, and/or immediately after exercise may reduce exercise induced muscle damage - also known as Delayed Onset Muscle Soreness (DOMS). This is because branched chain amino acids can reduce the impact of the enzymes creatine kinase and lactate dehydrogenase after prolonged exercise. These enzymes are associated with muscle damage. Therefore supplementing with BCAAs just prior, during, and/or immediately after prolonged exercise may assist with reducing damage in muscles and soreness. Results tend to vary with diet, gender, and level of physical activity. BCAAS have anabolic (growth promoting) effects in muscle as they stimulate muscle protein synthesis, and help again protein breakdown. 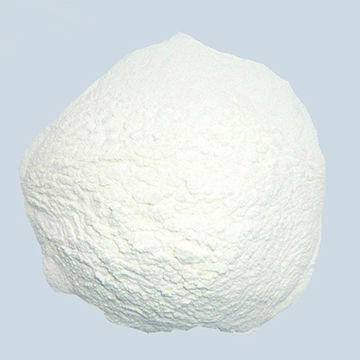 This is especially for leucine, which is primarily involved in muscle protein synthesis for muscle growth and recovery. Studies have shown leucine to be the most anabolic (growth promoting) amino acid for muscle growth and recovery. When Should I take BCAA? Protein powders already contain naturally occurring branched chain amino acids. Whey protein in particular has high BCAA content, so when can taking a BCAA supplement help (if at all)? BCAA supplements are free form amino acid powders - in other words, they get absorbed by the body without having to be digested first. Protein powder, on the other hand, must be digested first for the amino acids to be absorbed. 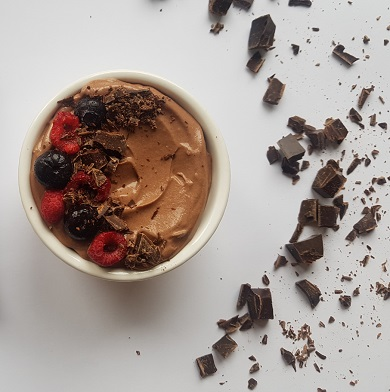 They should not replace protein powder, as protein powders generally contain all of the essential and non-essential amino acids needed for growth and development. Rather, because BCAA supplements are much faster acting, they may help to maximise recovery and protein sythesis after prolonged exercise. If your protein intake is not high enough, or if on a calorie restricted diet especially, then supplementation with BCAA may assist against muscle protein breakdown. Leucine - red meat, chicken, pork (pork has the ideal ratio of BCAAs), nuts and seeds, soy. 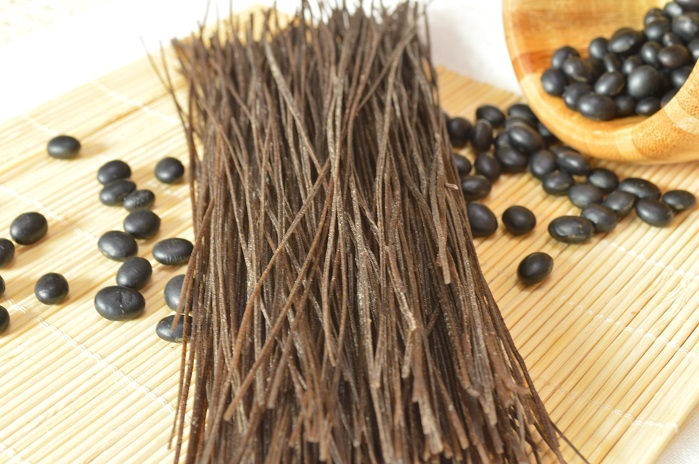 Isoleucine - meats, eggs, fish, cheese, nuts and seeds, seaweed. Valine - soy, cheese, fish, meats, vegetables. BCAAs are generally well tolerated without side effects for most people. Those with Amyotrophic Lateral Sclerosis (ALS) or maple syrup urine disease should not take BCAAs. BCAA toxicity is nearly impossible and total dosages of 15-35 grams per day (including foods) seem generally safe. For its potential anti-catabolic benefits during intense training or when dieting, take one serving immediately before, during, or after exercise and possibly one other serving while fasting (ie before bed or in the morning on an empty stomach). With warmer weather fast approaching why not get a bit creative with your supps. 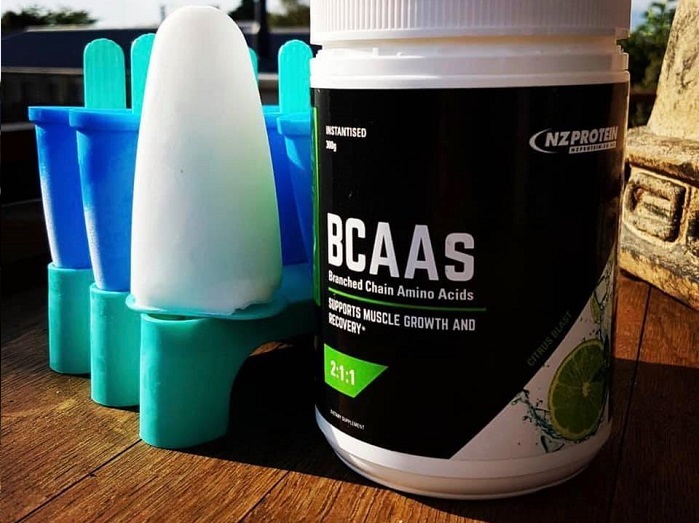 BCAA ice blocks. 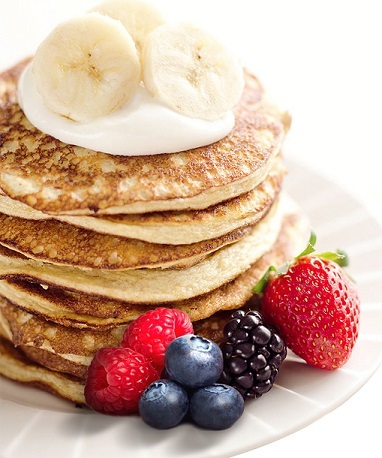 Simple, delicious and good for the gains. Branched chain amino acids are beneficial for muscle gains and reducing muscle breakdown and soreness after intense exercise. BCAAs are found naturally occuring in protein foods and there are conflicting studies on their benefits but exercise can increase BCAA requirements. BCAAs can be depleted from muscle under intense training or dieting, and a deficiency in any one of them may cause muscle loss (catabolism). BCAA supplements are free form amino acids meaning they don't need to be digested and are absorbed very rapidly - and much faster than with protein powders, so may be beneficial to have immediately before, during, or immediately after prolonged exercise for maximum gains. This product is vegan - all amino acids are derived from plant sources. Rated 4.77/5 Based on 30 customer reviews. Love the feijoa, it actually tastes like feijoa and mixes really well. I also got the unflavoured and mix it in my post workout smoothie, again it mixes well and wouldn't even know it's in there. Got myself the feijoa flavour and it tastes amazing!! Literally tastes like the fruit! Mixes extremely well and doesn't have an obnoxious colour like some of the other BCAA's I've tried in the past. Very highly recommend! Bought the Citrus flavour and loved it. Great product, cheap and effective. A curious taste, not too dissimilar to the after taste left in my mouth when our dog farts within the confines of our car. Definitely one to avoid. The feijoa bcaa actually tastes like feijoa. Delicious. Wouldn't use more than 300mL of water though or else the flavour would become too subtle and diluted. I'm sure it's a great product, and delivery was fantastically quick but I was rather disappointed that there was no scoop, meaning I have to find an old one that measures up to the right serving. Fantastic product! Mixes really easy into water, don't even need a shaker, just dump into your workout drink bottle. Definitely wake up less sore after workouts so must be doing it's job! Love this product. Fantastic price and the texture is great, can't even tell I've added it into my shakes. Keep it up NZprotein! Great product. Good price and good taste. I have Citrus. Love it, as it's not sickly sweet. Great taste especially lime, will be buying more. Great bang for buck, less than half the price of other bcca's. Tastes great also! Best bcaa's I've had! Blends easily just by shaking, love how the flavoured ones are clear too so it just looks like water! Definitely recommend this product! Amazing product!!! Mixes extremely well and is delicious! Definitely recommend trying this! Great taste, mix perfectly. Product is the same as all the over priced one. Definitely a winner! 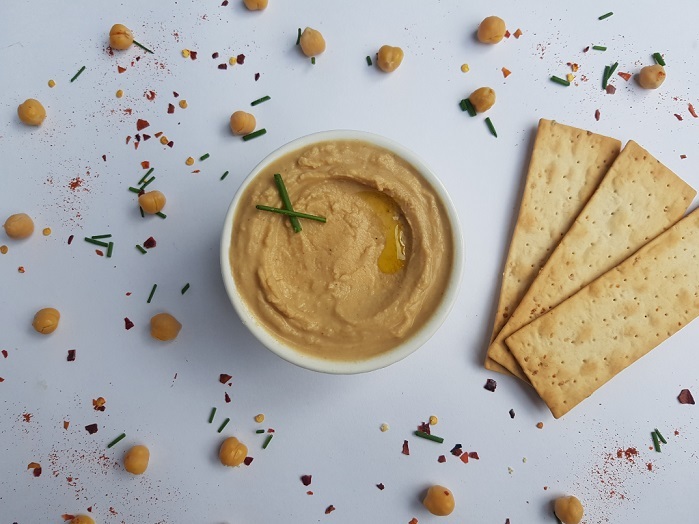 5 stars because the product tastes and mixes fantastic, and the service is A+. Dave and the team were very helpful and the order was dispatched straight away. Very nice flavour, not sour at all. 5/5 because i paid and it arrived within in 2 hours, i may have just been lucky but 2 HOURS. Good value. Worth noting this is unflavored (doesn't seem to say in the product listing) - so you definitely need to mix it with something to make it palatable. Cheap, effective and worth your money. Very easy to contact and fast delivery, if you're looking to invest in a BCAA, look no further. Ingredients: Amino Acid Blend (L-Leucine, L-Isoleucine, L-Valine, Soy Lecithin E322), Natural Flavour, Citric Acid, Natural Colour (B-Carotene, Beetroot Powder), Sweetener (Sucralose). Allergen warning: Contains soy lecithin. Ingredients: Amino Acid Blend (L-Leucine, L-Isoleucine, L-Valine, Soy Lecithin E322). Ingredients: Amino Acid Blend (L-Leucine, L-Isoleucine, L-Valine, Soy Lecithin E322), Natural Flavour, Citric Acid, Sweetener (Sucralose). Ingredients: Amino Acid Blend (L-Leucine, L-Isoleucine, L-Valine, Soy Lecithin E322), Natural Flavour, Citric Acid, Malic Acid, Sweetener (Sucralose). Ingredients: Amino Acid Blend (L-Leucine, L-Isoleucine, L-Valine, Soy Lecithin E322), Natural Flavour, Malic Acid, Sweetener (Sucralose).